…or Shrove Tuesday, Fat Tuesday, Mardi Gras, or whatever you call it. This day last year, we had everyone round to our house and whipped up a whole load of pancakes for everyone, in our annual Pancake Day Pancakeathon. This year is slightly different, as we don’t have oodles of people to pancake with, but I am going to attempt to fit in lots of pancakes anyway. I am debating actually giving things up for lent this year too, I had not partaken the last few years, as I always seemed to be going away mid-lent, and a lot of places ended up with limited veggie options, even though I was in the US, so had to live a little on junk. This is why my clothes got somewhat tighter. Anyhow, to start off the day we went for some slightly American style pancakes, based on this recipe. 2 medium bananas, mashed Nb. I again, used my stick-them-in-the-freezer-when-they-are-ripe-then-they-lose-all-structural-integrity technique. Add the bananas and milk, and mix until you have a uniform batter. Leave to stand. Cook until bubbles appear,and the upper surface is firm, then flip and cook for another minute or so, to finish off the top. 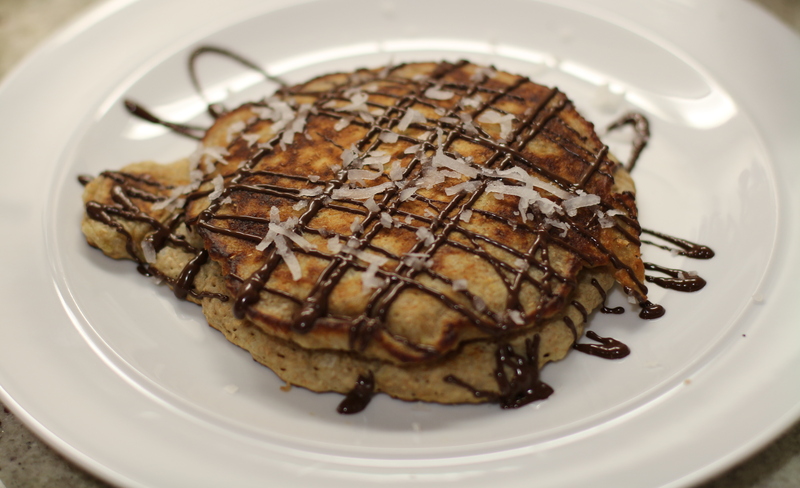 (optional) Melt some chocolate, and drizzle over the surface, sprinkling with a little more coconut. 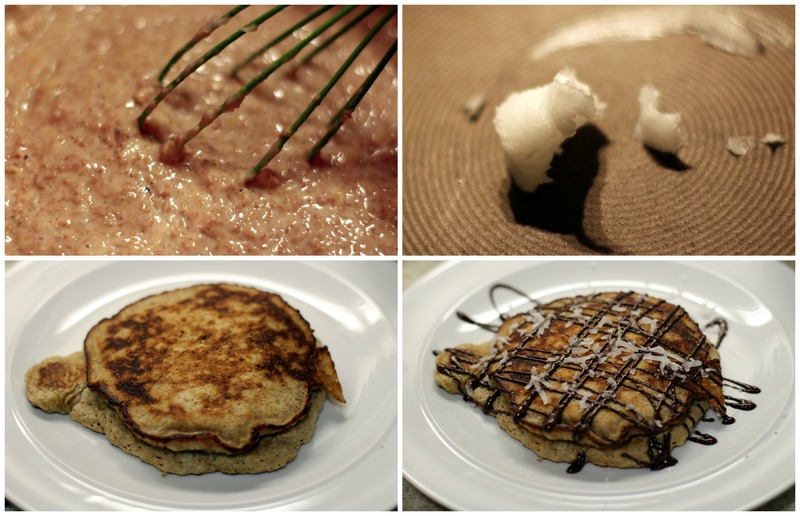 This evening I fancy continuing the pancakeyness by making these. Ermmm yum? ← Apricot and Almond Tarts.